The Careers Service is available to all undergraduate and postgraduate DCU students. Our team is committed to providing a wide variety of services to support you in making career decisions that are best suited to your qualifications, interests, abilities and aspirations. We do this through meeting with your class group; quick query clinics; one-to-one meetings; events; career fairs and employer engagement. Get Involved. Because you want to; because it helps you with your confidence and personal development. And because Employers want to know, how you spent your time in DCU. Employers are interested in your grades, work experiences, engagement in university life and your transferable skills. Many students think that the Career Service is only for final years. We are here at every stage of your studies to help you to shape your future from first year to final year. So, come visit us or meet with us at our events, drop in clinics and in the classroom. Whether it is exploring what you can do with your degree or getting some help putting a CV together we are here to help! Discover DCU – Short interactive online courses designed to help get you settle in and introduce you to the tools you need to succeed at university. DCU Transition Award – aimed at first year undergraduate students. It focuses on the transition to DCU, encouraging engagement in the DCU community, making connections and as a means of developing your civic engagement and employability skills. Develop Your Discipline Knowledge – attend all classes, labs, tutorials. Getting good grades demonstrates to employers that you are developing strong discipline specific and academic skills. Understand What You Like Doing – identify your motivations and interests by taking a some self assessments. You can log-in using your DCU username and password. Sign Up For Pathways to Success – a 4 week programme that will enable you to set goals, build resilience, self-confidence and create a strategy to creating success in their life. Build Your CV – prepare to make high quality applications. Check out our Careers How To Guides on Loop. Getting involved with clubs, sports, volunteering, and gaining work experience enables you to meet new people, enjoy your time at university, and develop yourself personally and professionally. It also helps you to stand out and be competitive with future applications such as summer internships, INTRA placements and, service and leadership programmes because you will have practical examples to show off your skills and experiences. At this stage, exploring options with your degree should be a priority. By exploring various career paths, you will be able to identify what you like doing; what makes you tick; and what you are interested in. As your studies progress, you should be thinking about gaining more relevant work experience. Why? Employers recruit graduates who have gained work experience and developed the skills and graduate attributes required for success in the workplace. Developing strong discipline specific and academic skills such as subject knowledge, critical thinking, problem solving, and effectively communicating makes you very employable. Take on leadership positions in a club or society, become a class rep or faculty convenor. Enter various student competitions such as hackathons, employer and entrepreneurial competitions. Take part in our Employer Skills Launchpad – interactive workshops facilitated by the employers on key skills to be workplace ready. Participate in the DCU Skills Development Award - aimed at second and penultimate year students. It focuses on skills development through on-campus and off-campus activity. Apply to take part in the Mentorship Programme – this is a great opportunity to find out more about careers that interest you while being mentored by someone from that profession. Get an Internship – great addition to your CV; develops your skills and gives you an insight into the role, career, sector and organisation within which you are interested. Examples of Internships include summer internships; INTRA; service and leadership programmes, and studentships. Connect with Employers via our annual Careers Fair. Go abroad – By availing of Erasmus or undertaking a year abroad as part of degree programme, it helps enhance your language skills, adaptability, cultural and global mind-set. Volunteer – make a contribution to wider society while enhancing your employability. Sign up for the Mentoring Programme, a fantastic opportunity to be mentored by a graduate of DCU who is uniquely placed to help you explore career ideas and give you insights into the world of work. Attend ‘Career Conversation’ events such as talks from employers and alumni who graduated from your degree programme. Develop your CV – to be competitive in internships, INTRA and other work placement applications. Practise your interview skills – to get the job or internship you want; attend one of our workshops and download our free interview booklet from Loop: How Can I Do a Great Interview? Give your online profiles a makeover – first impressions count so ensure your online profiles are polished and targeted for your career area of interest. Take time to reflect on everything you do and accomplish during these years. Thinking about what modules you like, what extracurricular activities and work experiences you find yourself drawn to will help you to narrow down your career ideas. Reflecting will help you to focus your attitude, motivation and identify any gaps in your skills and knowledge, and to help you design the life you want! Start to keep a log of your achievements and successes, both academic and extra-curricular. This will be useful when preparing your CV and particularly when preparing for an interview. The Careers Service supports you in exploring your career options to identify practical steps in moving forward with your goals. We deliver into many modules, organise skills sessions, employer events, drop in clinics and you can make an appointment for a one-to-one consultation with one of our Careers Advisors. You are probably thinking about what you are going to do after you finish your programme of study. Some ideas might be around employment with large multinationals; working for a smaller to medium sized company; to a start-up enterprise. Other options might be around postgraduate study or setting up your own business. The Careers Service is here to help you figure out your next steps from sessions on career planning and decision making; job search strategies; making postgraduate applications to recruitment and selection techniques used by employers. Take some self-assessments to explore your talents, skills, potential and style. Think of three alternative plans that you might like to pursue; what are the block and bridges? Who can help you to overcome any blocks. Know your skills and graduate attributes - what are your key skills that you like using, how are they informing your career choices. Be Workplace Ready by developing your skills via our Employer Skills Launchpad, interactive workshops facilitated by employers on key skills to be workplace ready. Take the Uaneen Leadership Award - a unique scheme that formally recognises the work done and learning acquired by students with University and outside clubs, societies, community work and extra-curricular activity in general. Thinking of global opportunities – access our online country career guides and resources free of charge! Polish your CV and application forms to get shortlisted for interview. Attend one of our Quick Query & CV Clinics. Download our free CV and Application Form resources. Perfect your interview techniques so you can get the job you want. We can help with interview coaching via skills sessions and one-to-one mock interviews. Fine tune your online profiles – first impressions count so be sure your online profiles are polished and targeted for your career area of interest. Perfect your Pitch – what’s your story, can you tell a potential employer who you are and what you can offer succinctly and professionally. This is your elevator pitch. Continue to become an expert in your discipline knowledge and get the best grades you can. And finally, DCU Careers Service will contact you via your DCU email account 6-9 months after your graduation to invite you to participate in the Graduate Outcome Survey. Make the most of your time at DCU. We help you to shape your future. Be Workplace Ready by developing your skills via our Employer Skills Launchpad, interactive workshops facilitated by the Careers Service and employers on key skills to be workplace ready. The Springboard Careers Service is open to all students in receipt of Springboard funding. We are committed to providing a wide variety of services to support you in making career decisions that are best suited to your qualifications, interests, abilities and aspirations. 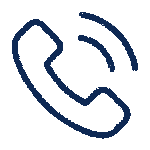 We do this through online support via Loop and email, one to one career planning appointments (in person, on the telephone and via Google Hangouts), walk-in CV and Quick Query clinics, drop-in chat rooms, webinars and employer engagement. Engage with your lecturers and tutors – and engage with the Springboard careers service! Engage with each other. Start building your network by making connections. As well as exploring the world around you and your new academic and industry communities, explore what success means to you. Log onto engage.dcu.ie and take some self-assessments to explore your talents, skills, potential and style. Go to career events and attend industry insight seminars.